Want to see all the technologies used by digikala.com? 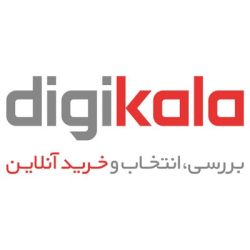 Digikala is an online store that sells sports and entertainment, arts and culture, and digital products as well as appliances and personal items with a 7-day return back guarantee option and an express delivery service. Customers can review, select, and purchase products via the website. Digikala is operated from Tehran, Iran. For a quick look at additional technographic info on digikala.com or any domain on the web, download our Chrome Extension. Check out our help article to see how Datanyze Insider can help you.